www.doctorfox.co.uk is registered with the Care Quality Commission to provide private healthcare online. The doctors working at www.doctorfox.co.uk are all registered with the General Medical Council and authorised to issue prescriptions online. The online prescriptions are sent electronically to our online pharmacy – the process is secure and encrypted. The online pharmacy is Dr Fox Pharmacy in Glasgow, registered with the General Pharmaceutical Council (GPhC) as an online pharmacy. 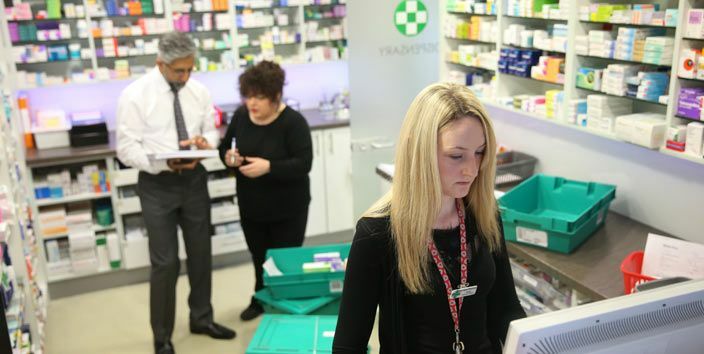 The pharmacy checks the prescriptions in the same manner as they would check any other paper prescription (eg: NHS prescriptions) and dispatches the medicine by First Class Royal Mail recorded delivery. The standards for pharmacy owners and Superintendent Pharmacists of pharmacy premises also cover the standards required for operating an internet pharmacy service and are very stringent, with regular checks and inspections undertaken by the GPhC. Pharmacists are required to check that medicine is suitable for a patient before dispensing it, and licensed for use in the recipients delivery country. Staff at the pharmacy dispensing orders from Dr Fox and preparing for dispatch. Posted on March 24, 2012 November 22, 2016 by Dr Tony Steele in Health News, Online clinic.